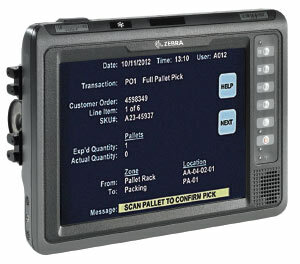 Zebra Vehicle Mounted Mobile Computers increase productivity and accuracy in fulfillment with easy, robust access. 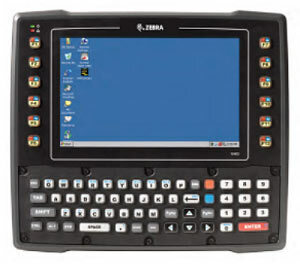 These mobile devices from Zebra are expertly designed to fit into material-handling vehicles and through extreme environments, bringing mobile access to operators across the field, warehouse and freezer. Built tough with rugged materials, these computers are compact and come with flexible mounting options. With software capabilities ranging from Telnet to modern applications, these are perfect for on-the-go access for vehicle operators, and will improve productivity, accuracy and performance across your business. Built to handle the demands of life on the vehicles, enabling operators to access the real-time information needed to achieve a new level of accuracy and productivity. Give operators mobile access to the desktop applications they need to complete tasks faster and more accurately. Get Full Windows support in a super rugged design. The VH10 is built to provide the real-time information this workforce needs to get the job done fast and right – in your warehouse aisles, out in the yard or in a freezer. 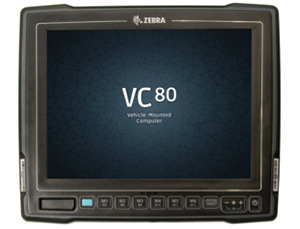 IntegraServ offers a full line of Zebra Vehicle Mounted Mobile Computers. Contact us and we’ll be happy to help you find the products that will best suit your needs.